The final voter turnout for the Outer Manipur parliamentary constituency election held on April 11 has reached 84.21 per cent. 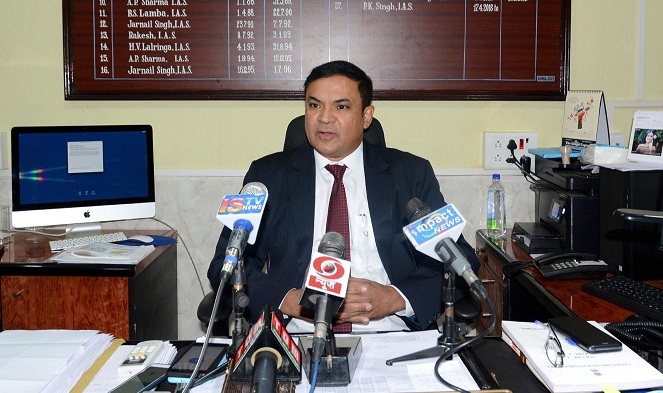 The polling percentage of the Outer Manipur parliamentary constituency in 2014 LS polls was 85.5, according to chief electoral officer (CEO) PK Singh of Manipur. The first phase of the two-phased 17th Lok Sabha election was held across 28 Assembly constituencies under 12 districts of the state. The total turnout of female voters this time was 84.97 per cent while the turnout of male voters 83.38 pc. As per an official figure of the final voter turnout, a total of 8,51,022 voters out of 10,10617 voters cast their votes across 1,562 polling stations including eight valley Assembly constituencies which constitute 238,260 voters. The highest voter turnout among all the 28 Assembly constituencies was recorded at Mao constituency in Senapati district of the state (93.99 per cent) while Churachandpur constituency in Churachandpur district had the least voter turnout at just 53.62 per cent, CEO Singh told reporters on Sunday. He informed that the scrutiny for the polling stations with possible re-poll is being held for Outer Manipur parliamentary constituency under the supervision of returning officer. The Manipur CEO, however, said there are chances of holding re-polling in two polling stations at Poi village in Ukhrul district. The election materials including the electronic voting machines of two polling stations were destroyed by unknown persons on the polling day (April 11). The polling parties of Churachandpur and Tamenglong districts, who could not reach their respective district headquarters after the polling was over on April 11 reached their destinations early on Saturday morning, the officials said. Most of the sealed Electronic voting machines (EVMs) have arrived at the respective district headquarters and stored in the strong rooms under tight security. For the second phase of polling in Inner Manipur parliamentary constituency, which is scheduled to be held on April 18, the election authority in Imphal is all set to provide gifts for the first 50 voters and gifts for persons with disabilities.